My workload has been pretty substantial as of late: the Space Wolves job is still on going and I am needing to get caught up with a Dark Elves job as well. On the horizon is two small jobs, both are for repeat customers. One is another X-Wing job for the client that I painted the Blue Squadron B-wings for, only this time it will be a Millennium Falcon with a Ford Mustang GT500 inspired paint job, which should prove interesting. The other job is for the same client I completed the Knight-Titan for, only this time around it will be some Imperial Guard (along with some conversion work). 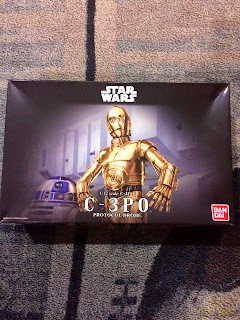 On the personal project front, there has been a steady trickle of packages from Japan bearing Bandai's fantastic, new Star Wars models. Earlier this week, I received both the 1/12 scale C-3PO and the 1/48 scale X-wing "Moving Edition." 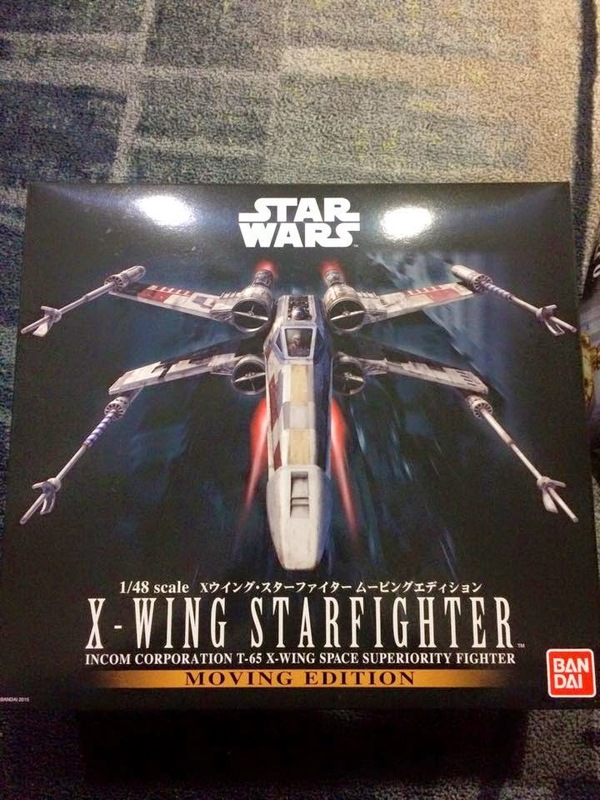 The X-wing comes with a motor to open and close the S-foils along with a couple of pre-wired LEDs for the cockpit and engines. Needless to say, it's on the top of my build list and I will start working on it as soon as I find the time!